We all know makeup can work wonders, but apply it incorrectly and it can also make us look like a clown fit only for the circus! 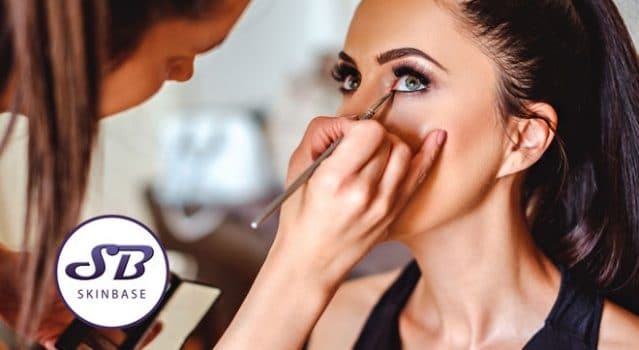 After a discussion in the SkinBase office, it quickly became evident that most of us aren’t super comfortable with all the different makeup elements to even out skin tone and ensure our skin and makeup look the best they can. Throughout this blog, we look at different ways that make up can help even out skin tone. The correct application of concealer can transform us from sleep-deprived, bleary-eyed monsters to beautiful goddesses (well, some of the time anyway!). A thin application of concealer under the eyes hides dark or red spots, as well as evening out skin tone. Whilst tempting, never use your fingertips to apply concealer as this exposes the skin to bacteria, which could provoke redness and acne – stick to using a concealer brush. Always make sure your concealer is a shade lighter than your foundation, reducing the chance of looking like an Oompa Loompa. It’s also advisable to choose a hydrating concealer, otherwise, you run the risk of enhancing any lines and creases around the eyes. Foundation applied to your whole face is an effective way to even out skin tone. Foundation is available in various different forms, such as creams, liquid and powders, to name a few. A recent study has shown that powder foundation will not only last the longest but covers up more natural oils. Top tip, ensure that you blend the foundation all the way to your neck, to prevent the two tone undesirable effect. With concealer and foundation successfully applied, your skin will be looking beautifully even but in much need of a splash of colour. Make sure you apply the blusher to the apple of your cheek. Top tip – smile and apply the foundation onto the rounded part of the cheeks to make your skin look fabulous. Delicately apply a bronzer to the hollows of your cheekbones, to add deep shadows to your face. Lastly, gently dust a finishing powder across your face to keep your makeup looking super fresh and long lasting. Remember that you can always apply more, but it’s hard to take away blusher once you’ve added it without scrubbing your face and needing to start again!